Halloween Haunts 2015 & GIVEAWAYS!!! BOO! Welcome to day 2 of the Halloween Haunts blog hop. Thanks to Marian at Seamstobesew for bringing us all together. 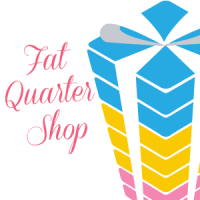 Thanks to Fat Quarter Shop, they are giving away a $25.00 gift certificate each day of the hop. 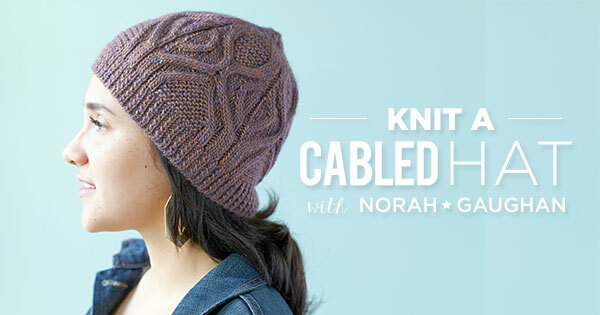 You can sign up for a chance to win at any blog that is showing the entry box. Be sure to check out Halloween Haunts hop every day. First I would like to share with you a table runner that I designed. I am happy with the way it turned out, I think it is boo-rrific. 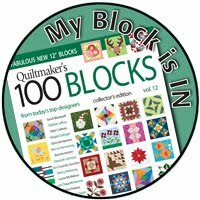 The center block was a design from a child's coloring book that I purchased at the $1 store. I used painters tape to stick it to the top of the fabric and then used black thread and sewed right on top of the lines. After it was all stitched I tore the paper away like you would with FPP. I then stitched back over the lines with another layer of black thread. Next I did free motion embroidery to color in the pumpkin and parts of the mouse. Finally in that block I used colored pencils to add more color. I wasn't sure what to do next so I added an orange border and used an Anita Good Design pattern for the pumpkins around the center block. Then I had an idea to applique a bat, moon, and star that is in the fabric pattern. When Halloween is over I can just flip it to the other side for some Fall Stripes! I have been making a lot of amigurumi lately and here are my most recent little guys. Daddy, Mama, and Baby Bat! Thanks to my TTMT friend Snowie. She shared this pattern with us last week from Lucy Ravenscar she has many interesting patterns. 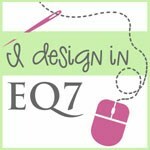 You should check out her site too! Now for the giveaways...Yes TWO! One from Fat Quarter Shop and one from yours truly. Halloween Haunts 2015 starts today! Giveaways!!! 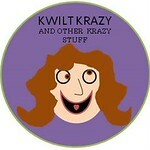 Check out these cool sites and enter the giveaway! Fat Quarter Shop is giving away a $25.00 Gift Certificate EVERYDAY!!! Here is the schedule for today. Enjoy! 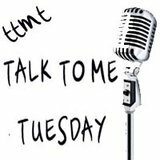 Here is a short silly TTMT from this past Tuesday.